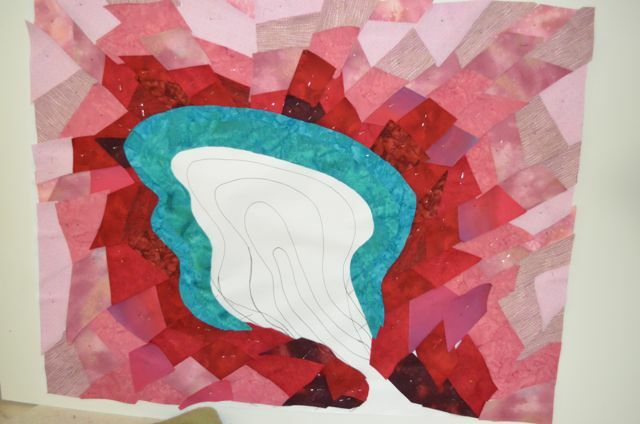 Explorations in Quilting and Life: Coming together! 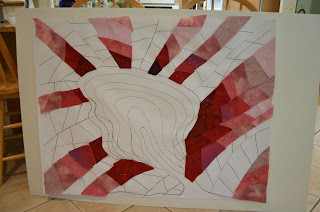 Progress continues on my latest piece. I did a test strip of how I visualized piecing the outer portion of the quilt. 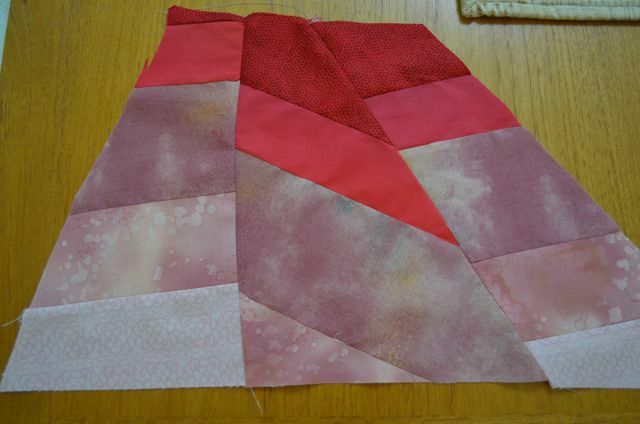 I liked the idea so I began cutting the individual pieces of fabric and then pinning them to one of my patterns. Gradually the pieces started to fill in the pattern. 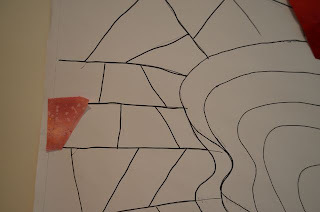 When all of the outer section was pinned to the pattern, I began playing with the inner portion. I am now working on stitching it all together. Will keep you posted on my progress. It looks promising, can't wait to see how it will evolve!